CommunityHelpers was formed to offer a unique reference point on extensive advice on helping in the community. Welcome to CommunityHelpers, your one-stop online resource for ways to get active and involved in your local community. There are many worthwhile local projects that need help and in return you can gain a sense of giving something back as well as the chance to meet like-minded people, and gain new skills and experiences. It can feel a bit bewildering with so much information available online, Community Helpers aims to be a trusted and comprehensive guide to the kinds of opportunities available to you locally. We hope it will both inform and inspire you. Whatever your skills and background you will find something to interest you. You can choose to work with animals, children, the elderly or disabled people. Help look after your environment or to safeguard local security. There are opportunities in education and wellbeing and health or consider the challenges and exhilaration of helping out with emergency services. Find out more about what being a community helper means and how you can set up your own local group. We hope you will find all the answers you are looking for but if you do have any questions then please ask our experts who will try to help. 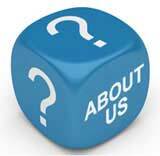 We enjoy hearing your real-life experiences so do click on the 'Tell us your story' link and tell us all about it. CommunityHelpers was founded by John Rowlinson, the founder of PtS. John, through PtS, is involved in a number of ventures including software and property companies. A percentage of revenue from these activities goes towards funding CommunityHelpers and a number of similar sites.